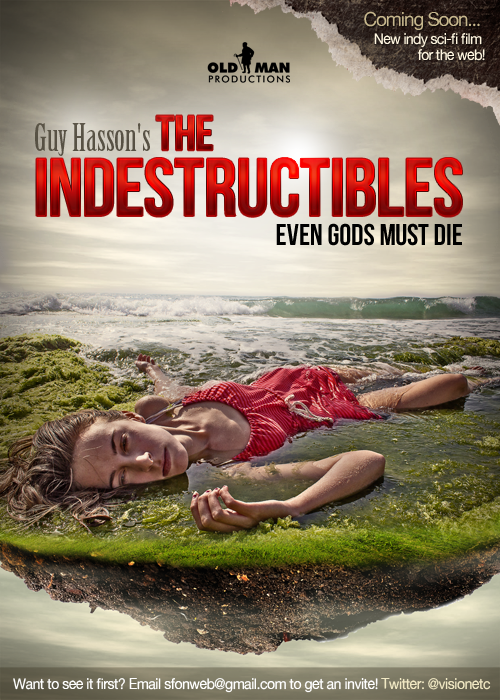 The seventh installment of The Indestructibles film journal has been published at the Apex blog. As the shooting day for my independent SF film, made for the web, gets closer and closer, the inevitable showdown between writer and director finally takes place. So what if they’re both me? There’s a war going on. And it begins every time a film director is doing his job. If the drums of war are missing, the director isn’t doing his job right. I’m happy to report that this war has finally reached the rehearsals of The Indestructibles, my indy, no-budget, epic sci-fi flick for the web.